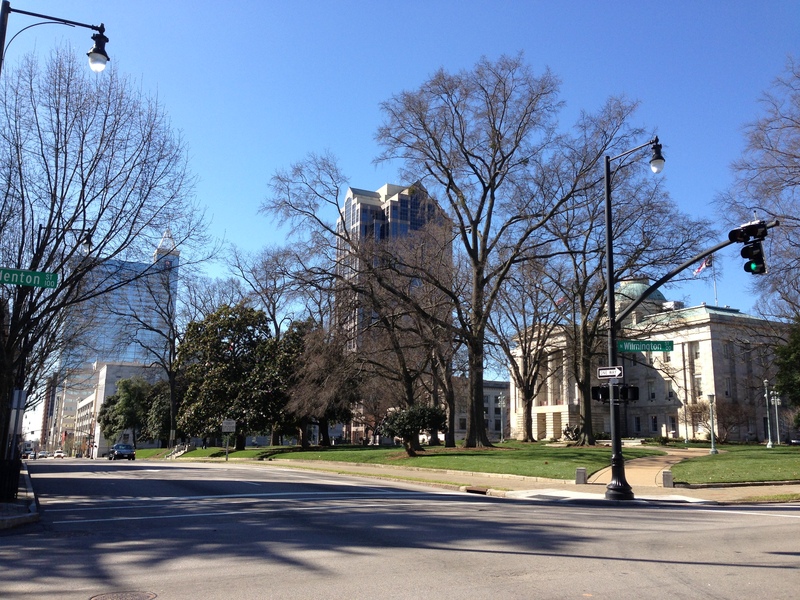 What a beautiful day in downtown Raleigh. The warm sunshine and cool March breeze made my walk to Spize Cafe exceptionally nice. Spize Cafe is conveniently located at 121 Fayetteville St., Ste. 108. This Pan-Asian restaurant is always bustling with hungry people working in downtown Raleigh or visitors checking out the latest museum exhibits. I&apos;m a big fan of the atmosphere at Spize Cafe. From the light fixtures down to the lime green plates, the restaurant has a modern feel. I also love the definition of "spize" written on the wall; "to use our knowledge of unique spices, found all around Asia, to enhance the flavor of food so that life is better enjoyed." You just get a positive vibe when you walk into Spize Cafe. The employees and owners want you to enjoy your experience to the fullest. Although the sun was shining outside, the crisp air called for something spicy. I ordered the chicken Thai red curry to warm me up. If you love spicy food, this dish is for you. Tender chicken breast is served in a coconut broth and seasoned with a variety of spices, including galangal, coriander, lemongrass, dried chili, garlic, turmeric, belachan and Thai basil. The definition on the wall of the restaurant is right; Spize Cafe has a unique understanding of spices, which enhances the flavor of each dish. I was on sensory overload. The smell and taste of the dish was exceptional. Although my face turned a little red from the heat of the dish, each bite of the curry was well worth the sweat appearing on my brow. 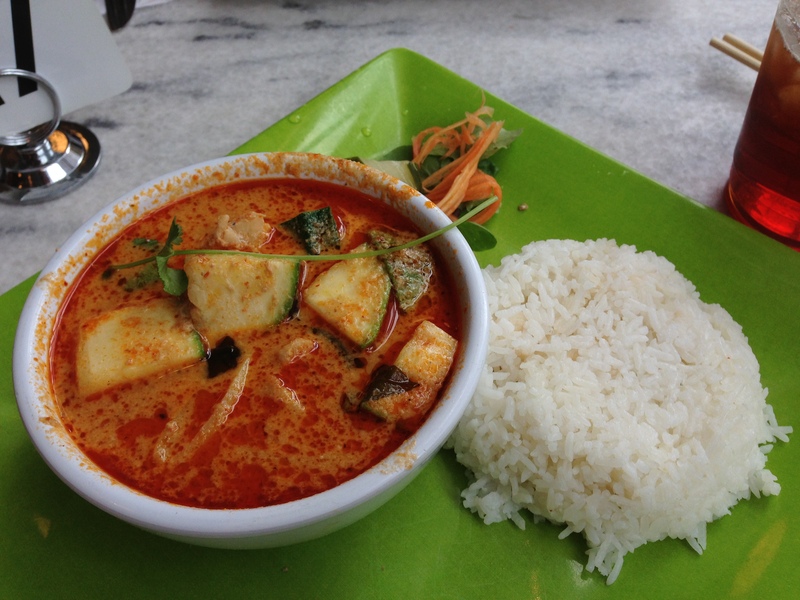 Thankfully, the Thai jasmine rice was served with the curry to bring down the heat. Spize Cafe is only open during lunch and the menu really caters towards the lunch crowd. There&apos;s a dish for everyone, featuring rice plates, rolls, sandwiches, salads and soups. My friend ordered the grilled chicken breast sandwich, which was served on a French artisan baguette. 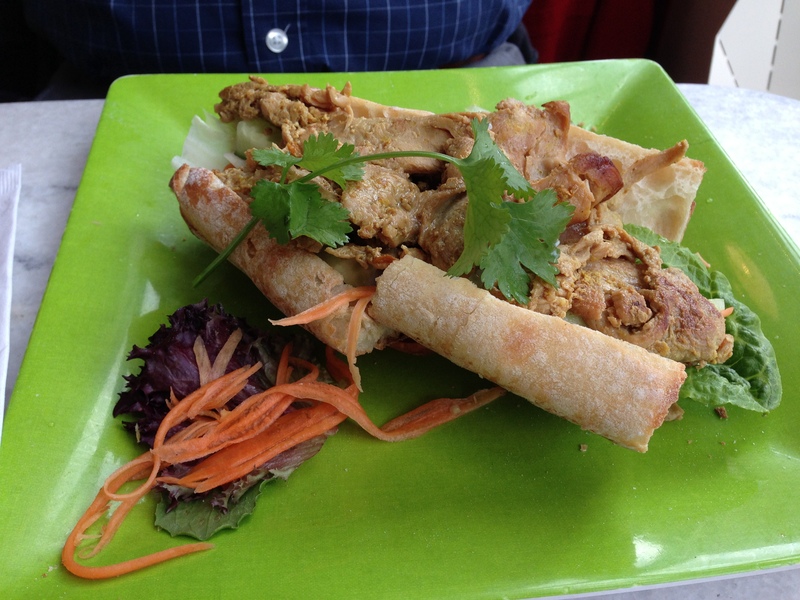 He enjoyed the flavor of the chicken, seasoned with cumin and ginger root and topped with Thai chili mayo. I should have reached across table to dip the crunchy baguette into my curry! You&apos;ll be thankful you visited Spize Cafe for lunch. The food is unbelievably delicious. No wonder Spize Cafe sells their dressings, sauces and marinades. 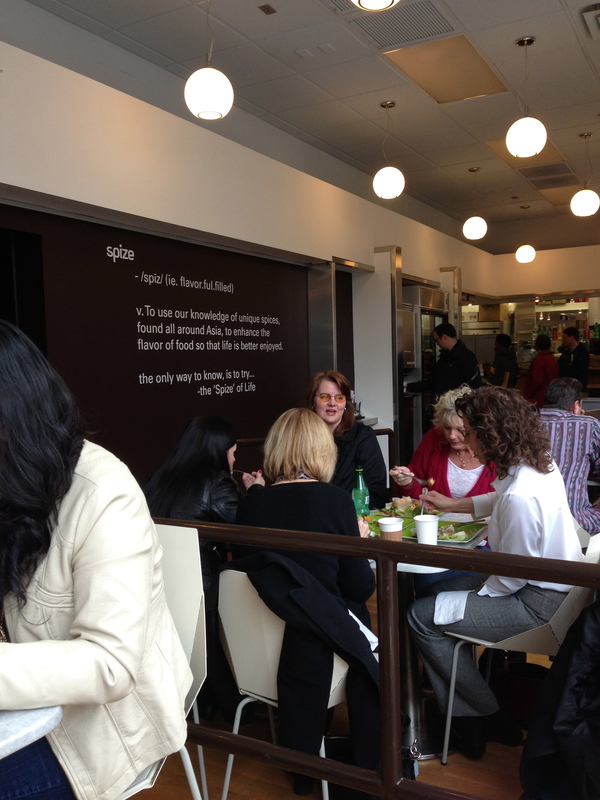 Patrons of Spize Cafe love the flavors of every dish and can&apos;t wait to come back to try something new.